We begin with a conversation with members of Tyrone West’s family. 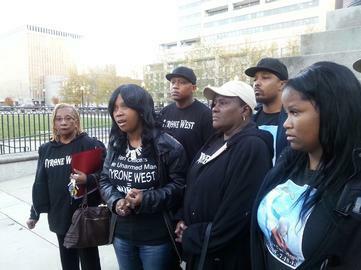 Tyrone West died while in police custody in July 2013. We’re joined by Tawanda Jones, Tyrone’s sister; George Peoples, Tyrone’s uncle; Jamie Richardson, Tyrone’s cousin; and Diana Butler, Tyrone’s aunt.